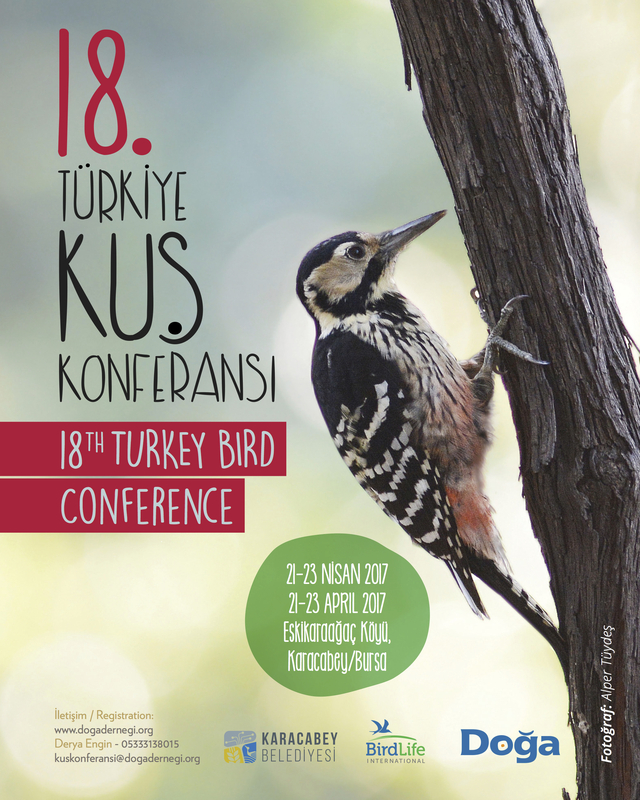 The 18th Turkey Bird Conference will take place at 21-23 April 2017, in Bursa, Karacabey. The conference will be organized by Doga, BirdLife Turkey, and Karacabey Municipality, hosting this annual event this year. Bird conferences have been organised by Doga and its allies for the last two decades in different parts of Anatolia. The Turkey Bird Conference aims to disseminate new findings Turkey’s birds and their conservation and promote bird watching among young people. This year, invited speakers of 18th Turkey Bird Conference will include Turkish and European conservationists and researchers working on birds and their conservation. The conference will cover various presentations on bird watching, research and conservation to facilitate knowledge and experience exchange between people interested in Turkey’s birds and nature. During the last day of the conference, the Kocaçay Delta Important Bird Area and Key Biodiversity Area will be visited by local birdwatchers and participants of the bird conference.